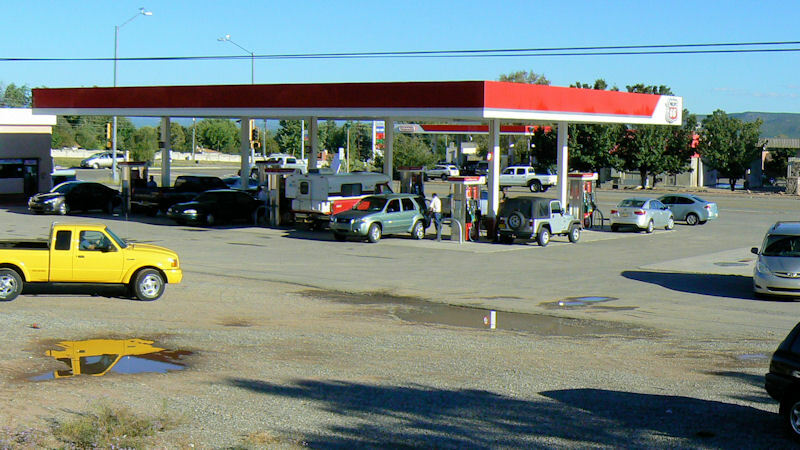 Los Alamos Daily Photo: If It's Thursday, It Must Be Cheaper Gas Day! Never noticed that. I will have to look for that on the way to work this morning. Your fuel prices there are a little lower than ours, ours is hovering around $3/gal. There are always the line cutters. I just hope we don't get to a day where they are the majority and it's more of a surprise to encounter the ones who wait their turn.